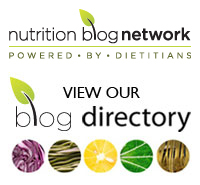 Lots of drama in the dietetic world last week. No, I’m not talking about the wildly popular Dietitians Day. First, the Academy of Nutrition and Dietetics (AND) in the US brokered a facepalm worthy deal with Kraft to have their logo placed on process cheese slices. Dietitians everywhere (myself included) were outraged, certainly not shocked, but definitely outraged. And rightfully so. How are people supposed to take us seriously when an organization claiming to represent thousands of dietitians is promoting process cheese. A product that the majority of us would neither consume nor recommend to clients. On the defensive, AND released a statement (you may need to scroll down a bit to find the post) claiming that the prominent placement of their logo on the process cheese was not indicative of endorsement. Rather, the logo was indicative of Kraft’s support of AND. Right. We all know that doesn’t matter. It’s the perception that matters and everyone perceived the placement of the AND logo as an endorsement of the questionable product. Especially since the initial accompanying pronouncement stated that AND was proud to have their logo appearing on Kraft singles as many children don’t consume enough calcium and vitamin D. AND will be forming a committee to address the concerns of members regarding this deal with Kraft, in MAY. If you agree that this “partnership” is wrong then please take a minute to sign the Change.org petition asking AND to “repeal the seal”. Hot on the heels of the AND Kraft debacle was the news that a number of dietitians had promoted mini-Coke cans as “healthy snacks”. These dietitians were likely all paid for selling their souls this work, although one of them couldn’t recall if she was paid by Coke or not. Gee, I wish I was making so much money that I could forget whether or not I was paid for something. While I hate to rag on fellow dietitians, it frustrates me to no end to hear of others doing such a disservice to our profession. Both of these stories exemplify how the relationship between the food industry and dietetics/dietitians undermines our integrity as health professionals. There is a larger problem here. Dietetic organizations need sources of funding that do not come with conflicts of interest. Dietitians need more and better job opportunities. I understand that it’s a tough job market. Believe me, I’m not raking in the dough and I’m only quasi working as a dietitian. However, I would sooner give-up my status as a registered dietitian than to use it to promote questionable food and beverage choices. With the constantly changing science and messages in nutrition it’s hard enough to convince people to trust us. Is it really worth sacrificing our credibility to make a buck? Tags: Academy of Nutrition and Dietetics, AND, change.org, Coke, conflict of interest, dietitians, Eat Right, food industry, funding, Kraft process cheese, mini-Coke cans, nutrition, professional integrity, Repeal the Seal | Permalink. Brilliantly put. I wish more people were as passionate and articulate as you are!